Mister Cartoon is the undisputed king in the street art scene, and one of the most decorated and sought-after tattoo artists in the world. The globally-recognized LA-born and bred artist has an expressive style that embodies the true soul of Los Angeles street culture. 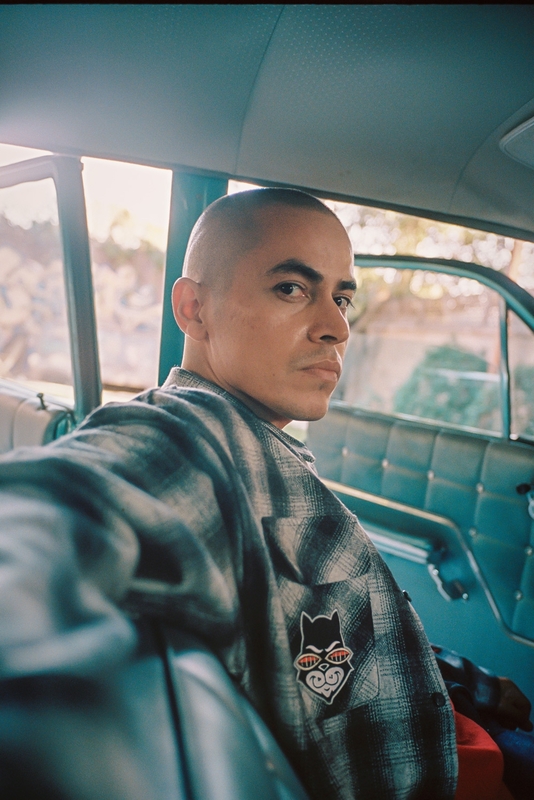 Beginning his career as a graffiti artist and swap meet airbrush artist in the 1980's using both the streets and T-shirts as his canvas, he soon gained global notoriety for his custom lowrider car murals, album cover designs, logos, high profile ads and collaborations, and his one-of-a-kind tattoos. 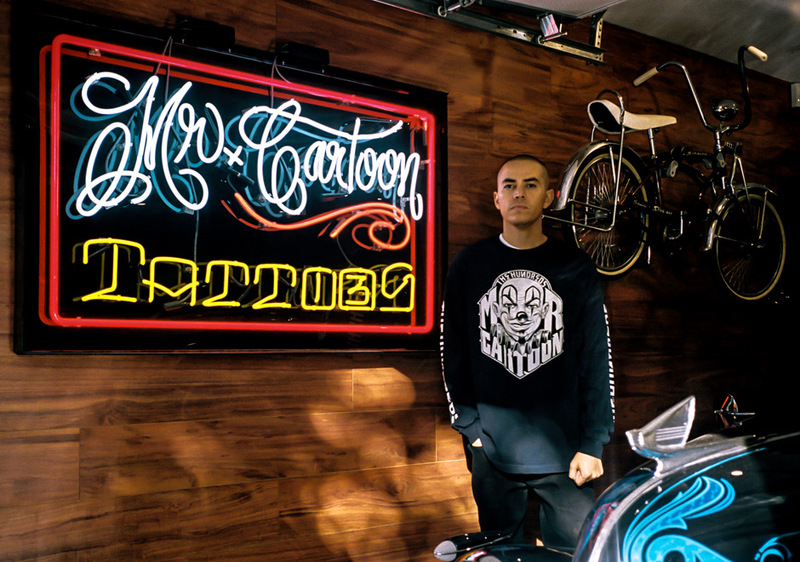 Mister Cartoon's detailed, hand-rendered designs are a nod to a distinct style of art that originated in the streets of 1970s Los Angeles—black and grey fine line, with roots in Pachuco, lowrider, and Chicano gang culture; California prison tattoos; and custom airbrush art. 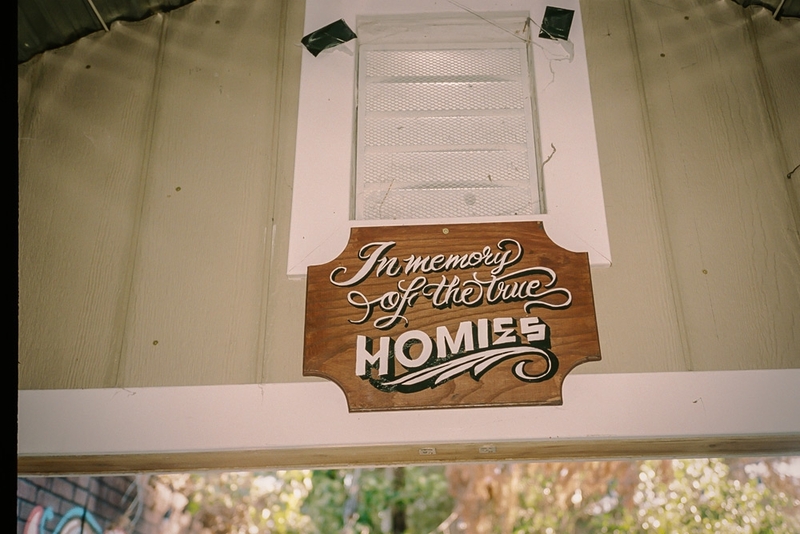 His signature style is raw, authentic, and undeniably LA. 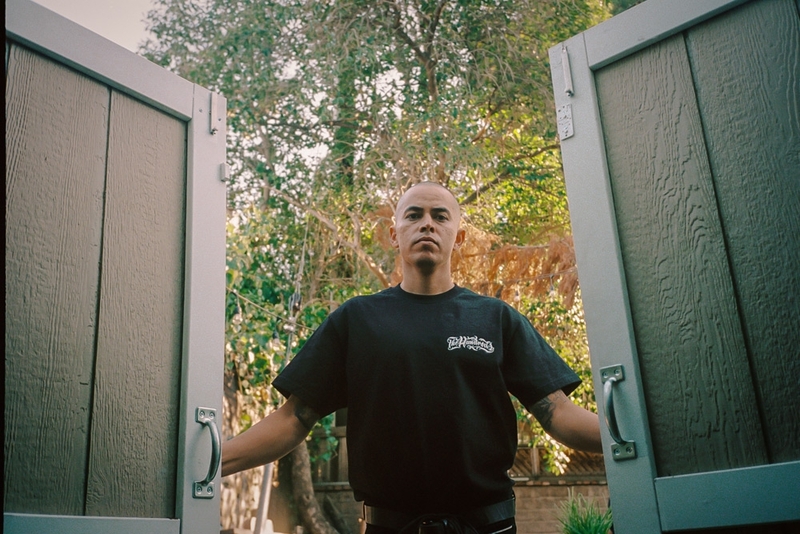 The Hundreds are proud to come together with one of LA's most gifted sons. 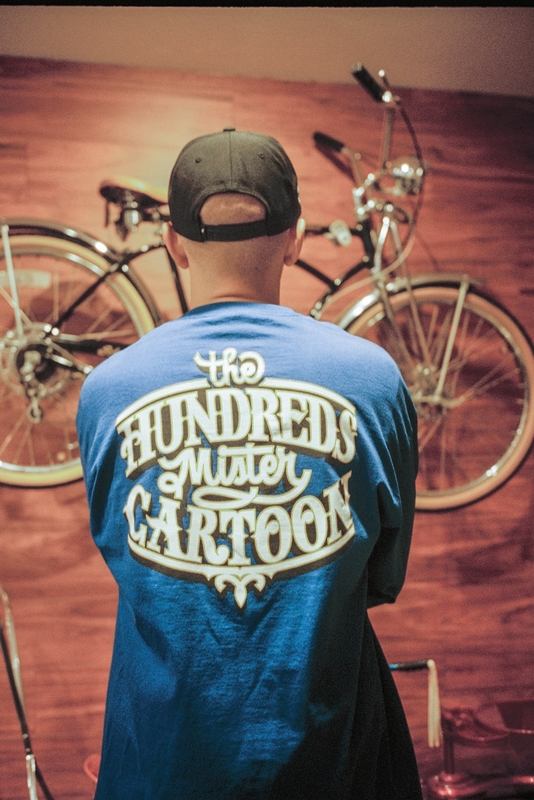 For The Hundreds by Mister Cartoon, designed by the West Coast legend himself. 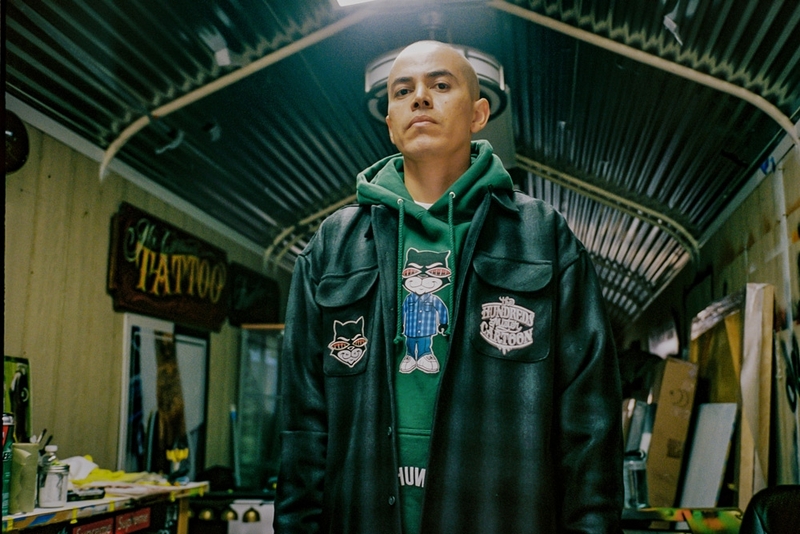 The collection features a new collaborative Mister Cartoon-style Adam Bomb, his signature hand style, his iconic cat character Bronson, and cut & sew designed entirely by Cartoon. Highlights include a Starter-inspired jacket, embroidered selvedge denim, shadow plaid flannel, and a very special Rotocast vinyl toy modeled after Cartoon's signature cool cat character, Bronson. 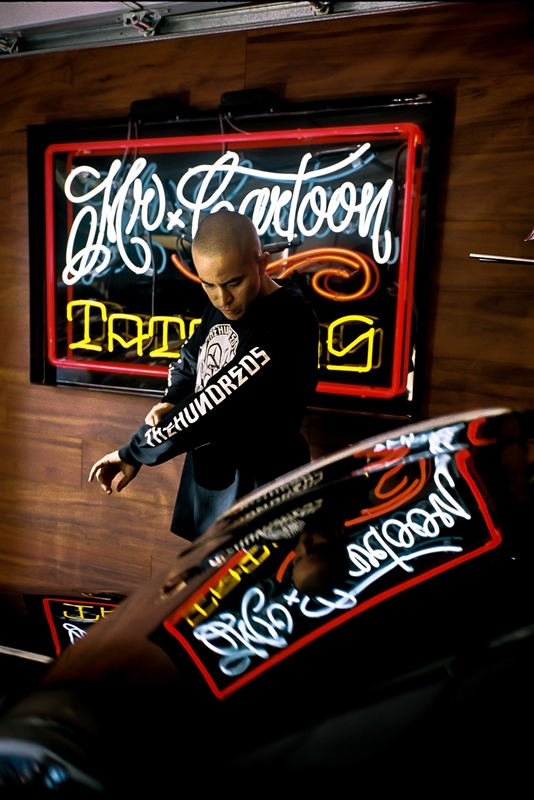 Headwear, T-shirts, and pullover hoodies round out the very special LA born and raised collection.